We make communication easier with our new WhatsApp service. 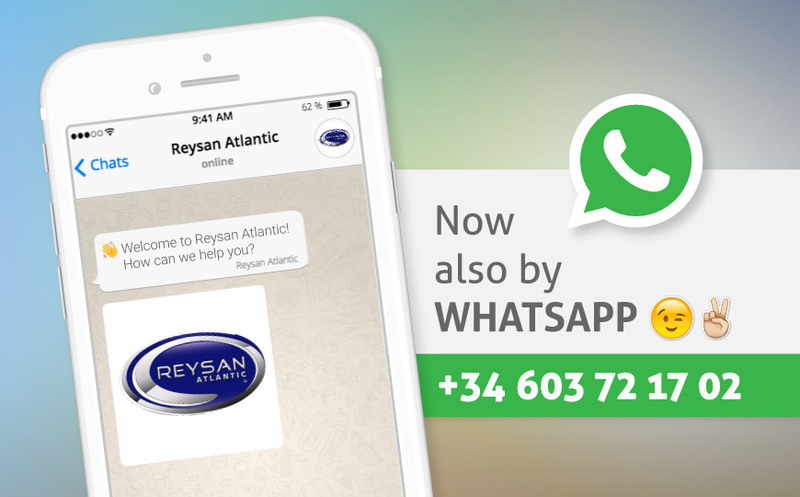 In Reysan we want to facilitate the way of communicating with us and for that reason we put at your disposal a new telephone number through which you can get in touch via WhatsApp. Write us at +34 603 72 17 02 and we will be happy to answer all your queries. Place orders, request quotes or know more details about our products, anything you need! Hours: Monday to Friday from 9:00 a.m. to 5:30 p.m.
Add us to your phone book now!